The squirrels in our neighborhood are rather agressive. 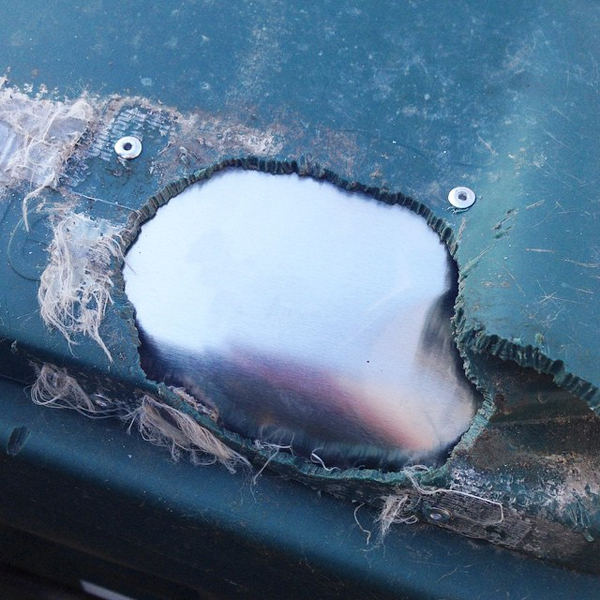 They chewed a hole through our garbage can to get to our delicious trash. Aaron took care of that - he riveted a piece of sheet metal to block it. Take that squirrels! May I ask what it is? So weird to me.